Custom Fabricated Steel Shade Trellis - Kurt Krueger Architects, Inc. The best outcome with any building project is when beautiful, practical, and functional can all be achieved. 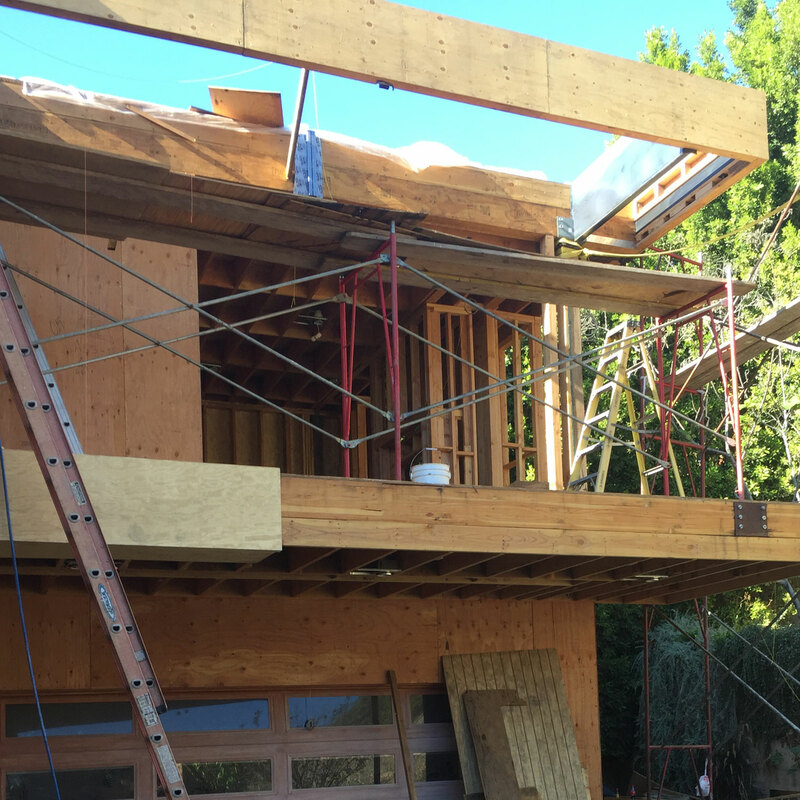 At one of our current projects in Benedict Canyon in Beverly Hills, we are working on a major renovation of the home and building a large addition over the garage. The addition includes a new master suite with a balcony on the front elevation. We wanted to shade the balcony as well as to control the sunlight coming into the new master suite—both important considerations when designing for the California sun. 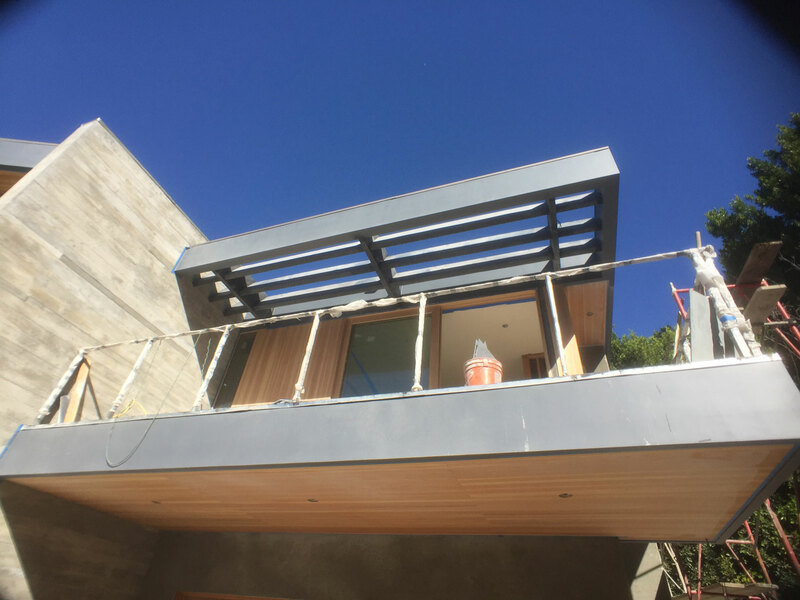 I’d envisioned a louvered steel shade trellis that would provide a practical solution to the shade problem, but would also be a key element in transforming the overall style of the home into a California Modern Home. Our version of ‘California Cool’ involves the use of different materials that naturally and organically work together. 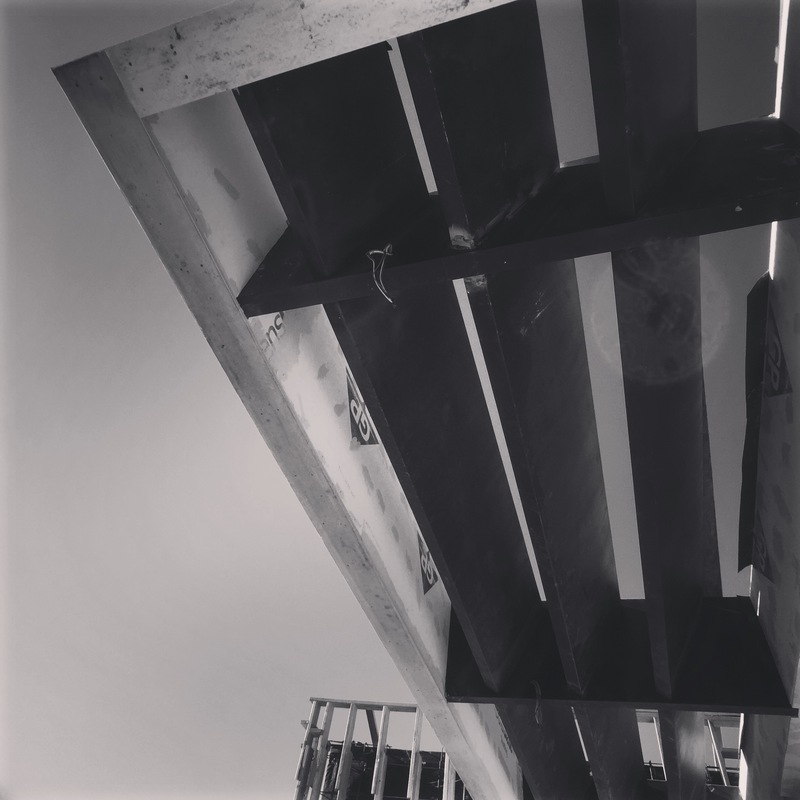 Along with the steel used in the fabrication of the trellis, we used Douglas fir for the underside of the balcony, and the trellis is anchored to the house on the board formed concrete wall we designed. Each of these material choices further defines the homes design aesthetic of clean, refined lines–it’s modern design with high-style that has warmth, dimension, and texture–our version of California Modern. When you work with an architect on a custom home you want a design that’s special. One of the advantages of being an Architect-led, Design-Build Firm like mine is that we can not only come up with superior design ideas, but we also know the cost associated with building it, and can ensure that what you fall in love with on paper can be built within your budget. 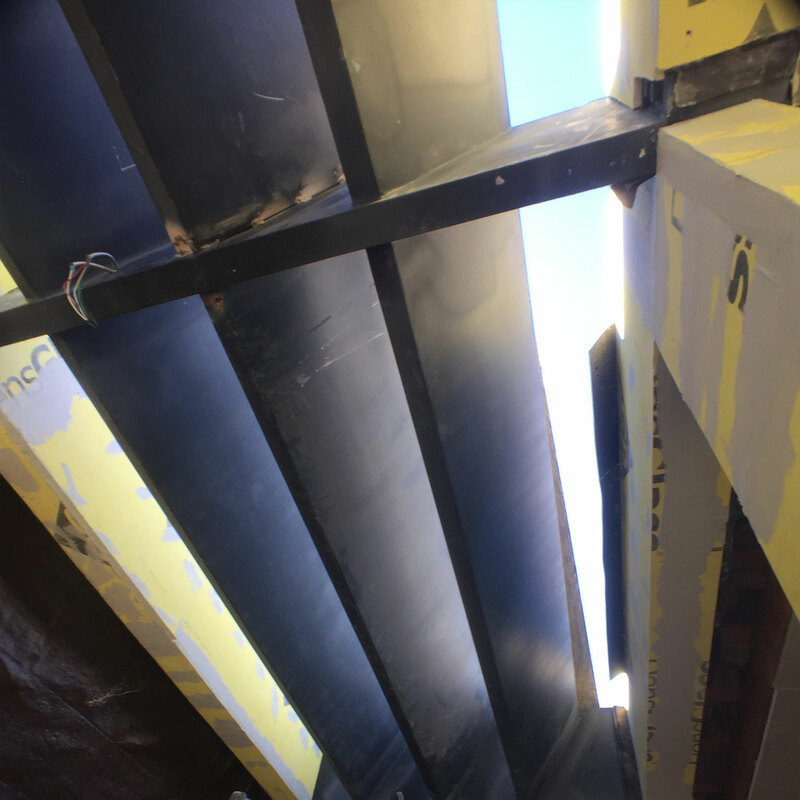 Having been out in the field for years on construction projects, I know how things get built and how materials will or won’t work together in a real-life application. 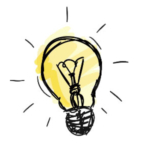 When you’ve earned this knowledge, you then have a reservoir to draw from for design ideas. 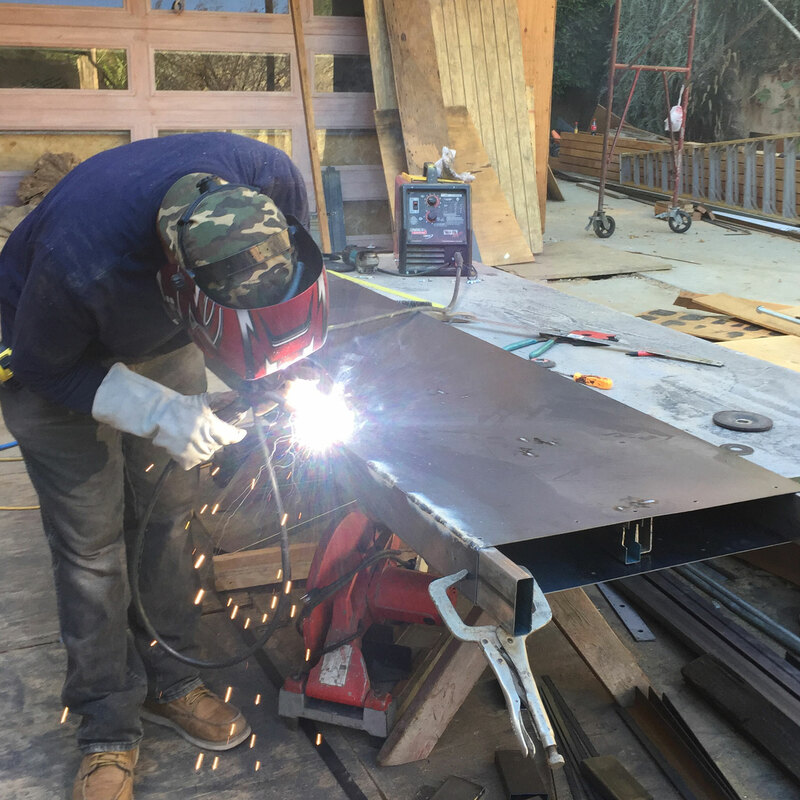 Working directly with the welder, something a traditional architect would never do, I could provide detail on the exact way I saw everything coming together. I enjoy immensely being able to provide innovative design solutions for my clients and getting to see my designs come to life. Traditional architects are not only unlikely to be on site, but they simply don’t talk to the trades or have the relationships for this type of collaboration. They’ll typically come to the site after something’s been completed and will either have to accept it as built or request changes that will impact the budget and timeline. Being on-site and overseeing the build ensures the design is executed exactly as conceived without miscommunications and missed details. I’ve included some pictures from the job site to show you how this unique, yet practical and beautiful trellis came together. As the principal architect of my Design-Build firm, I know how paper meets hammer in real-world scenarios. 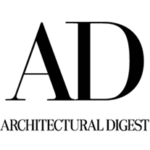 Unlike traditional architects who only do the designs and then handoff the plans to a contractor, my firm oversees the entire project from the concept design to move-in–we handle both the architecture designs and the construction. 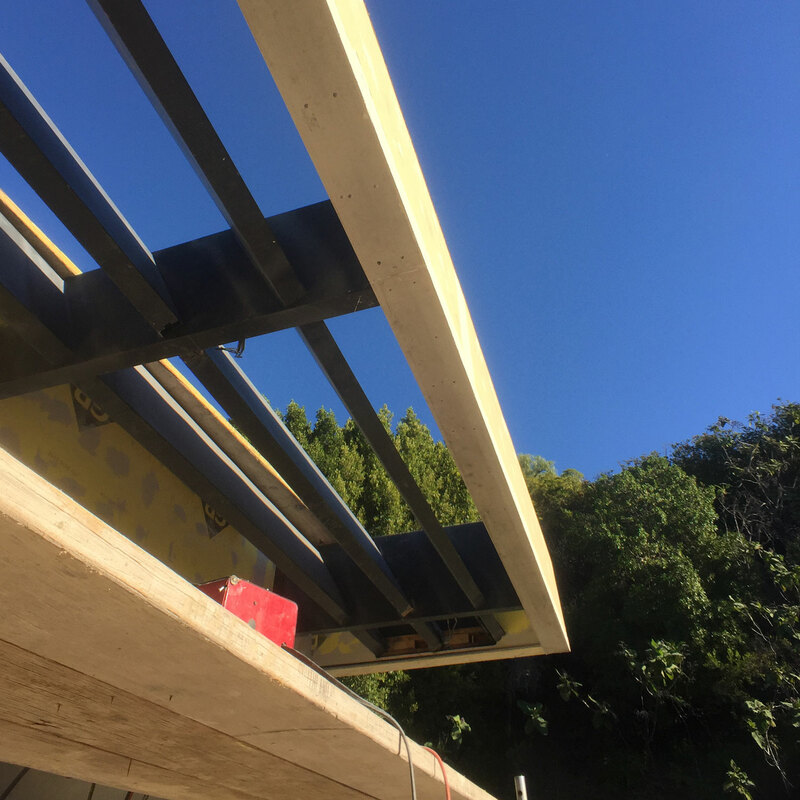 I am one of the few architects in the West-LA area who specialize in this type of project delivery and while other firms may be design-build, we have the further distinction of being an architect-led, design-build firm. Let us know if you’d like to discuss your custom home design project, by contacting us.